What many consider to be some of mother nature’s most implacable phenomenons, hurricanes, have torn into Florida, The Caribbean, Mexico and the southern United States without a shred of mercy. According to The Atlantic, the image attached shows “three hurricanes spin across the tropical Atlantic. 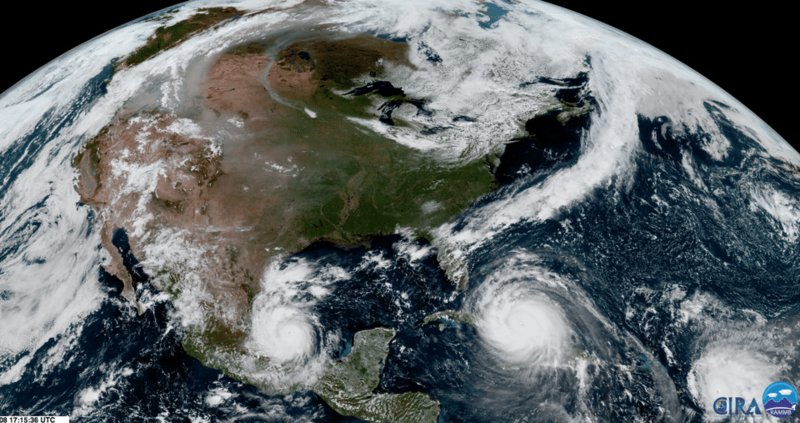 Left to right, they are: Hurricane Katia, Hurricane Irma, which was passing between Cuba and the Bahamas; and Hurricane José,” as of Friday, September 8. This image in and of itself is gut wrenching and reminds us that there is only so much we can do in the face of nature. But, if there is something more striking than the aerial views of the hurricanes, it is the visuals and statistics that we have derived on the ground from the results of the damage caused by Katia and Irma. To qualify the extreme nature of Irma’s destruction, USA Today reports that for the first time in 300 years, the island of Barbuda has no people living on it. “Barbuda has been left completely devastated by Hurricane Irma. An estimated 95% of Barbuda’s structures are damaged, and the entire island of around 1,800 people has been evacuated,” says USA Today reporter T.J. Rafael. See video of Barbuda here. 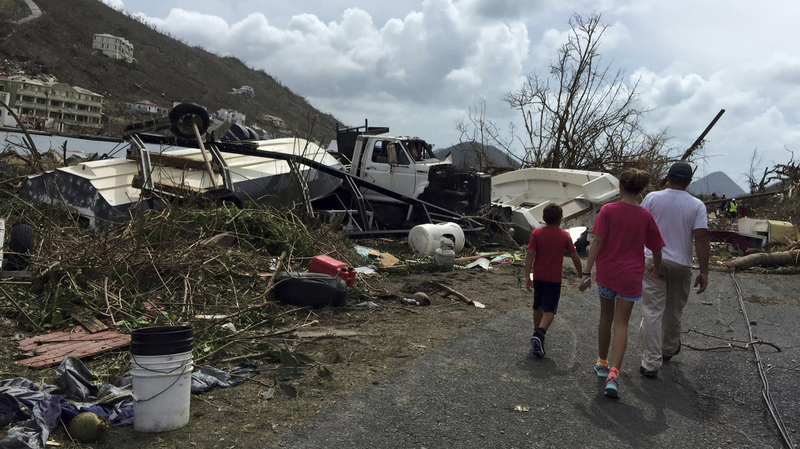 Category 4 Irma has killed at least 68 people and will cost billions of dollars in recovery and repair according to The Weather Channel, and according to NPR The Virgin Islands, known for their beauty and tourism, have been reduced to rubble. Below is an image of the island of Tortola. 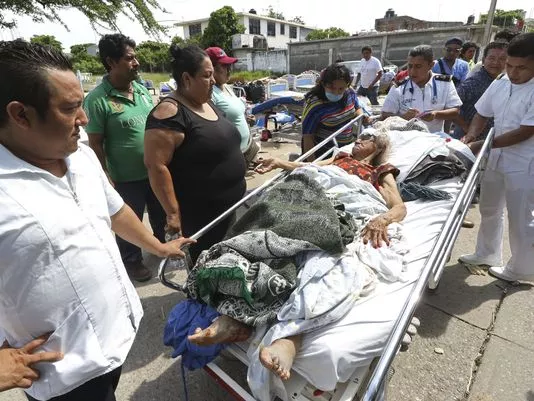 According to the Chicago Tribune, Hurricane Katia has wreaked her own havoc on Mexico, killing at least two people just days after a 8.1 earthquake killed over 65 people. Below is an image of a hospital evacuation in Juchitan, Mexico. Above all, the past weeks have resulted in thousands being displaced and left without much more than the clothes on their backs, hundreds dead, and billions of dollars worth of repairs. No doubt this is a tragedy that does not seem to end, but if there is any silver lining to the situation it can be found in the thousands of people donating, volunteering, and offering assistance to victims of these hurricanes. If you wish to help, USA Today has made a list of 40 highly rated, trusted charities.